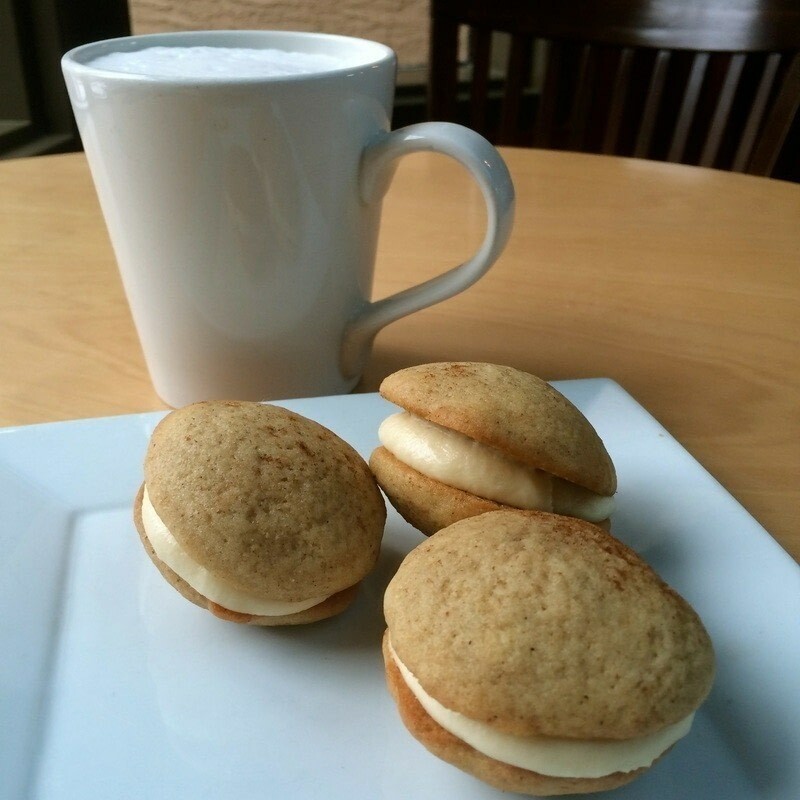 Bake some White Chocolate Chai Whoopie Pies with Higher Ground in Calgary, Alberta. Fun Fact: these cookies are also great just on their own without the frosting if you so desire. Alternatively, the frosting would taste delicious on cupcakes too. 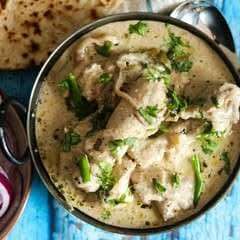 In a medium bowl, whisk together the flour, baking soda and 1 1/2 Tbsp chai spice. In the bowl of a standing mixer fitted with the paddle attachment, cream the butter and both sugars on medium high speed for a few minutes or until light and fluffy. Beat in the salt, followed by the egg and the vanilla, scraping down the sides of the bowl as needed. Beat until well mixed. Gradually on low speed, add the flour mixture until just barely combined. Mix in the chai concentrate. Use an ice cream scoop to measure out equal portions of cookie dough onto the lined baking sheets, trying to keep them as uniformly shaped as possible. 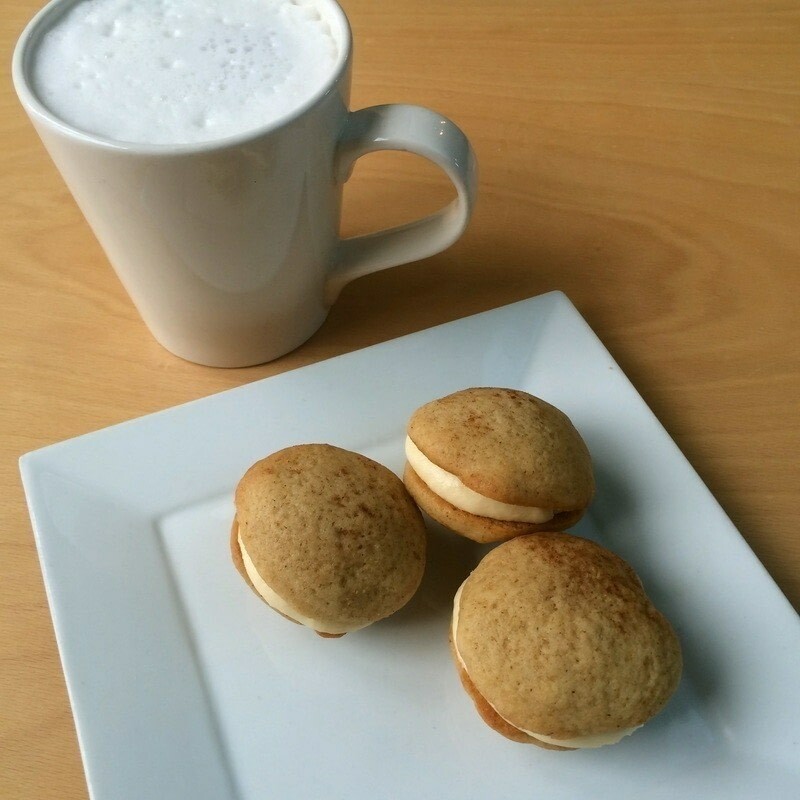 I used a tiny ice cream scoop to make mini whoopie pies! But you can use what ever size you want. Be aware that if they are big, they will take longer to bake so you may need to add a few minutes of baking time. Bake the cookies for about 6-8 minutes. You know they are done when they are just darkening around the edges (but not too much!) and a toothpick inserted in the centre comes out clean. The cookies should remain soft. Let them cool a few minutes on the tray, then transfer to a wire rack to cool completely before sandwiching them with frosting. Beat the butter until creamy in a standing mixer fitted with the paddle attachment. Beat in the powdered sugar until totally combined. Beat in the vanilla and salt, followed by the cooled white chocolate. Beat in heavy cream to make a spreadable consistency. Spread the frosting on the flat side of a cooled cookie. Sandwich with another cookie. Pour yourself a mug of tea and enjoy.